TALLAHASSEE -- The score is now vacation rentals – 2, local government – 0 after a bill giving the state the power to regulate the former on Thursday cruised through another Senate committee. A wave of opposition from local elected officials and lodging groups couldn’t stop the Regulated Industries Committee from voting 9-1 on SB 1400 by Sen. Greg Steube, R-Sarasota. 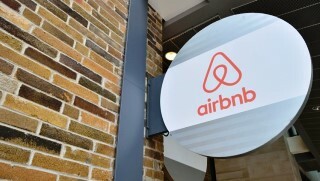 The bill – which has the support of online vacation rental companies, including Airbnb and HomeAway – has one more stop before it goes to the Senate floor. Should it become law, vacation rental properties would be regulated largely like hotels and motels, with owners who hold five or more properties being subjected to twice-a-year inspections by state regulators. Local governments would be prohibited from passing ordinances regarding the leasing of homes or parts of homes for short-term rentals but they could set policies that address traffic, parking, and limit occupancy of vacation rentals. Vacation rental laws on the books prior to 2011 would be grandfathered. “There’s still a lot of flexibility for local government to do what they want to do,” Steube said. Republican Sen. Dorothy Hukill, of Port Orange, who cast the lone nay vote, disagreed. Airbnb is among the online vacation rental services that supports a Florida bill that would give the state rather than local governments the authority to regulate short-term vacation rentals. But vesting oversight with the state “is the right approach,” said committee chairman Sen. Travis Hutson, R-Palm Coast. “I think some of it’s kind of “gotcha politics” because I’ve not heard from anybody being severely hurt in a vacation rental because of structural code-type issues,” he said. Earlier in the meeting, the committee approved an amendment proposed by Hutson to the bill that ensures it would not supercede rules set by HOAs or condominiums regarding vacation rentals. 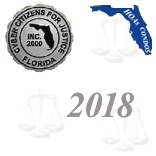 Casey Cook, senior legislative advocate for the Florida League of Cities, said the bill is missing language requiring vacation rental owners to list the maximum occupancy of their dwellings on their licenses and also disclose the number of nights their properties are rented annually. But a major problem with the bill is that it strips inspection oversight from local governments – a move that could create a safety risk because owners would not be required to have their vacation rentals inspected prior obtaining a license, he said. Many local governments adopted vacation rental ordinances – 30 since 2014 – to conduct those inspections, Cook said. “We think we want those properties to be safe before folks are staying in them,” Cook said. Democratic Sen. Perry Thurston, Jr., of Fort Lauderdale, said protecting customers against discrimination was the motive behind an amendment he proposed but later withdrew. The amendment would have required vacation rentals to be included in the bill’s definition of public accommodation and require hosts to maintain a registry of guests they denied lodging and make that list available to the state for review. Thurston said his recommendation was based on complaints from guests who’ve had their bookings canceled and shortly thereafter see the property relisted. But AirBnb spokesman Brian Batista said the amendment is unnecessary thanks to federal, state, and company anti-discrimination protections already in place. For example, AirBnb assist guests with finding new lodgings if they arrive to a property but are denied accommodations, he said.